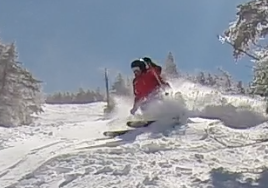 Two of the @MaineSkiFamily gang went up to Saddleback Maine today and had a very good day. The snow was a bit variable, but when you found the good snow, it was soft and fun. When we got to Saddleback most of the lifts were on wind hold, but as the day went on, the winds subsided and all the lifts opened by mid-day to the delight of the strong Maine-day crowd. Today the shade and elevation was your friend. It was pretty windy and temps where on the chilly side considering the time of the year. Snow that was in the shade stayed soft as the strong April sun had not 'cooked' the snow and put it through a freeze / thaw cycle, and the top 1/3rd of the mountain held great snow as it has stayed consistently below freezing for the most part. We got some great early tracks down some wind blown snow on Peachy's Peril and Muleskinner held some deep drifts that were a lot of fun. 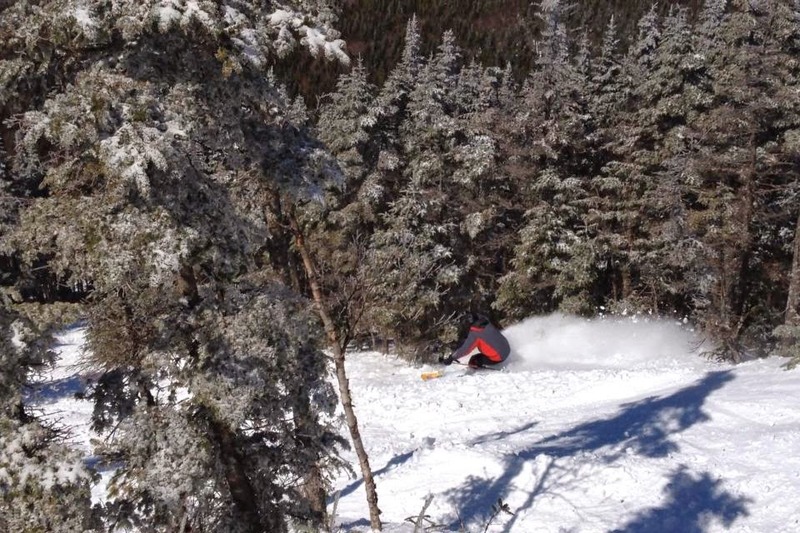 All the upper mountain glades skied exceptionally well. The snow pack at Saddleback is DEEP. All the trails are absolutely buried and not much sign of spring anywhere. Spring is coming but Saddleback should easily make its projected closing date of Easter weekend. 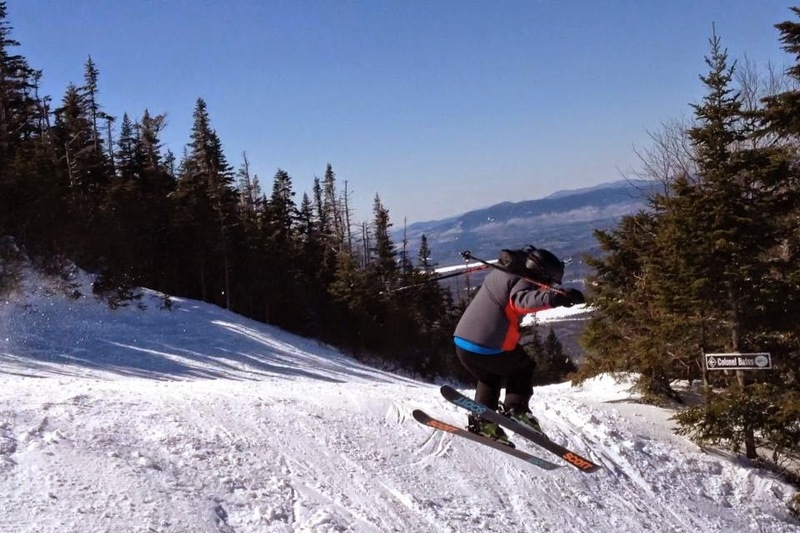 Spring mostly means mud for us in Maine but at Saddleback Spring = White Gold and big fun. Skiing is should be great over the next two weekends so go get some! Here is a video of our runs down Peachy's Peril and Muleskinner.